Kolkata Sep 15 (IANS) City football giants East Bengal were dealt a body blow on Saturday as the player status committee of the All India Football Federation (AIFF) imposed a transfer ban on the club over irregularities in their attempts to sign defender Sukhdev Singh from I-League champions Minerva Punjab FC. As a result East Bengal cannot register any new player until the expiry of the second transfer window of the 2018-19 season which is scheduled for January 1 to 31 next year. Sukhdev who now plies his trade for Mohun Bagan has also been barred from playing any competitive match and must pay a fine of Rs 50 000 each to the AIFF and Minerva Punjab according to sources. "Minerva got in touch with Alvito D Cunha (East Bengal brand ambassador) who generally negotiates all the transfer dealings for the club. Minerva were ready to let Sukhdev go but wanted them to follow the protocol. To that Alvito replied via Whatsapp that he won t negotiate with Minerva despite FIFA rules saying so and will go ahead and sign Sukhdev " an official close to the development told IANS. According to FIFA rules a club cannot approach a player from another club without the prior consent from the parent outfit. The only exception to this rule is if the player in question has less than six months remaining in his contract. "Sukhdev was tied to Minerva till May 31 2019 going by his contract when East Bengal approached him in April. It is clearly a breach " added the source. Minerva Punjab co-owner Henna Singh welcomed the decision and urged the football fraternity in the country to stick to professional ethics. "We welcome this landmark decision by AIFF player status committee. It is important for clubs and players to respect and honour contracts and FIFA/AIFF regulations it s high time we all got professional. This judgment will serve as a example to all clubs players and agents who take contracts lightly and think that they are above the rules " Henna told IANS. "They told him (Sukhdev) they would agree transfer fee with us separately but made no effort to do that for over a month...and then when we called them they told us they would speak to the players agent only and not to us directly. "Then Mohun Bagan approached us in May to sign him so we informed AIFF of everything and proceeded with signing with Mohun Bagan " she added. With the I-League starting next month East Bengal will now be in a soup as they cannot sign reinforcements. "We will go through the regulatory procedures. There is an appeal process in the system. 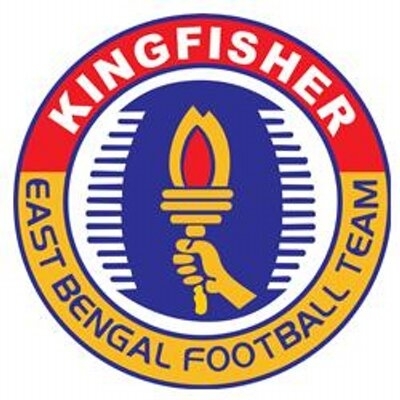 We will discuss internally what needs to be done and will act accordingly " East Bengal CEO Sanjit Sen said.